This cartoon is more than a quarter of a century old. 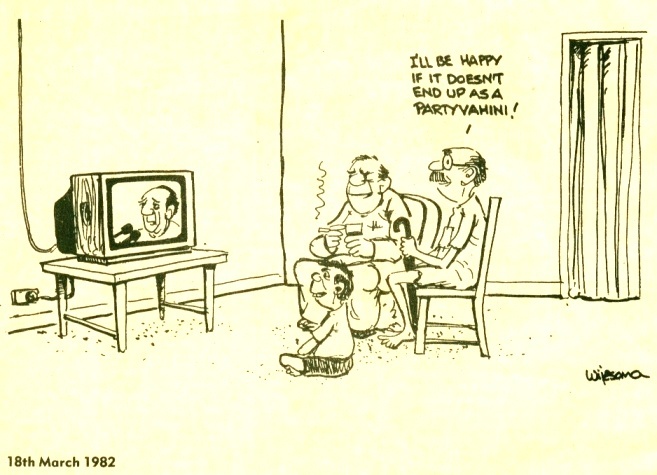 It was drawn by W R Wijesoma, the doyen of Sri Lankan political cartoonists, in March 1982 — barely a month after Sri Lanka’s national television broadcaster Rupavahini commenced its transmissions. I was a school boy in my mid teens when this happened, but I remember the story behind the cartoon. It was Sri Lanka’s first executive president J R Jayewardene who inaugurated the national TV station, which was donated to Sri Lanka by the Japanese government as part of its large package of aid to the island nation. At the inauguration, JR (as everyone called him) made this lofty speech, where he expressed his hope that Rupavahini would also be a satyavahini (meaning: the picture tube should also dispense the truth). In practice, that presidential wish never had a chance. JR was in office from 1978 to 1989, and Rupavahini’s fledgling years coincided with his second term. Despite his ideals, his own government misused the new medium from almost day one for blatant, partisan propaganda. In the event, it was my old colleague Wijesoma’s vision of a ‘party-vahini’ (a propaganda vehicle for party in office) that became our sad, stark reality. Some have also called it pacha-vahini (dispenser of lies). I recall all this on World Television Day, 21 November, because I’ve been reading a very interesting book by a remarkable man who was associated with Rupavahini’s inauguration. His name is Palitha Perera, and he is one of the most senior and respected radio and TV broadcasters in Sri Lanka today. Among other feats, Palitha holds the distinction of having been the inaugural announcer on two Sri Lankan TV channels – Rupavahini (15 February 1982) and TNL TV (21 July 1993). 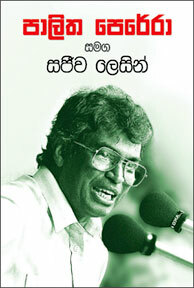 Palitha has recently penned his first book, titled Palitha Perera Samaga Sajeeva Lesin (Live with Palitha Perera; Surasa Books, Colombo; 2008). It’s not written in the ‘been-there, done-that’ style of self importance. True, it has a rich sprinkling of autobiographical details expressed in Palitha’s lucid, entertaining writing style. But in recalling men and matters, and his own multiple roles in shaping events, he is both modest and moderate -– hallmarks of his professional career. Palitha is one of the few broadcasters who successfully moved from radio to television broadcasting. Many other announcers, interviewers and producers of the radio era failed to make that leap, for the two media are different. In fact, Palitha has been in broadcasting longer than I’ve been alive. I grew up in the 1970s listening to Palitha’s deep, clear and friendly voice. He was Sri Lanka’s pioneering cricket commentator in Sinhala and that’s how he has had the greatest impact on our culture and society. Palitha has also made his name as the country’s foremost interviewer on both radio and television. In his time, Palitha has interviewed dozens of public figures from Presidents and prime ministers to social activists and trade unionists. He is always prepared and well informed. He remains calm and friendly at all times, yet is dogged in his questioning. This style has exposed many a hypocrite and charlatan. It was said that boxer Mohammad Ali used to ‘float like a butterfly and sting like a bee’. I would say Palitha Perera floats like a butterfly and stings like a butterfly. It never hurts his interviewee personally, but he is piercing and penetrative all the same. Unlike many other broadcasters who have cheer-led governments prostituting the airwaves, a public property, Palitha Perera never lost sight of who his real masters were: the audience. Death has no sense of timing, but it sometimes leaves traces of irony. The day Americans were electing an energetic and articulate senator from Chicago as their next president, one of Chicago’s most celebrated citizens lost his battle with cancer. 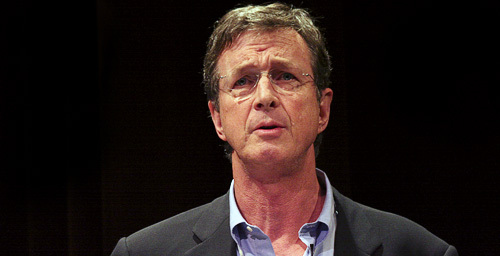 Michael Crichton, who died on 4 November 2008, was trained as a medical doctor but played several roles in the creative arts world. He was a prolific author of science fiction and medical fiction, whose books have sold over 150 million copies worldwide. He also produced and directed techno-thriller movies, and was the creator of the highly successful medical drama series on television, ER (Emergency Room), now in its 15th season. In the domain of popular culture, Crichton was best known for writing Jurassic Park (1990). This cautionary tale on unrestrained biological tinkering was turned into a blockbuster movie by Steven Spielberg in 1993. It became the highest earning film up until that time. Before and since, Crichton used his technical training, vivid imagination and mastery of English to spin some of the most enjoyable – and scary – stories that often depicted scientific advancements going awry, resulting in the worst-case scenarios. A notable recurring theme in Crichton’s plots is the pathological failure of complex systems and their safeguards, whether biological (Jurassic Park), military/organizational (The Andromeda Strain), technical (Airframe) or cybernetic (Westworld). Crichton was also a talented essayist who wrote perceptive pieces of non-fiction about science, society and culture – including the role of media. It is one such essay that I would like to recall in his memory. 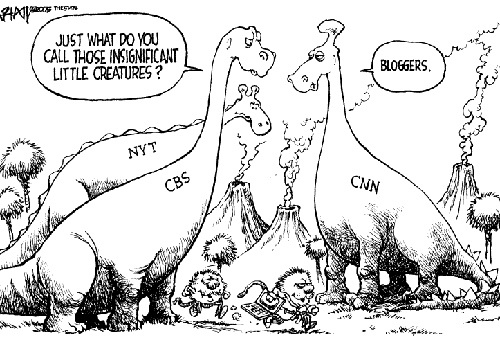 The media world was very different when, in 1993, Crichton riled the news business with an essay titled “Mediasaurus“. In this essay, written for the newly launched Wired magazine, he prophesied the death of the mass media — specifically the New York Times and the American commercial TV networks. “To my mind, it is likely that what we now understand as the mass media will be gone within ten years. Vanished, without a trace,” he wrote. Building on his credentials as the author of a best-seller on dinosaurs, Crichton called this endangered beast ‘mediasaurus’. He talked about technological advances — “artificial intelligence agents roaming the databases, downloading stuff I am interested in, and assembling for me a front page” — that would drive the mediasaurus to their inevitable doom. Only those nimble, adaptable media products would survive, he said, noting that CNN and C-SPAN were steps in the right direction, giving viewers direct access to events as they happen. Like most people who dabble in the imperfect art of foreseeing the future, Crichton got the trend right but the timing somewhat wrong. The mainstream media (MSM) were indeed on the decline but not at the dramatic rate that he envisaged. 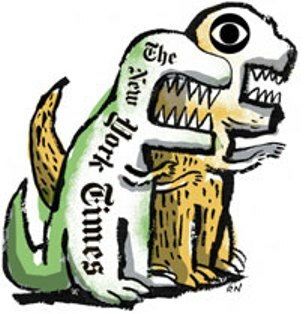 In February 2002, Jack Shafer wrote a piece in the online magazine Slate titled “Who You Calling Mediasaurus?” Its subtitle was: “The New York Times dodges Michael Crichton’s death sentence”. It asked and tried an answer the question: Where did Crichton go wrong? Now fast-forward to May 2008. The same Jack Shafer, once again writing in Slate, published a piece titled “Michael Crichton, Vindicated”. 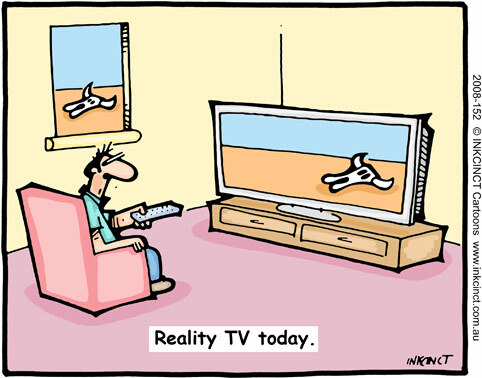 It was introduced as: “His 1993 prediction of mass-media extinction now looks on target”. By this time, Crichton was more positive about the web. He noted that the Web has “made it far easier for the inquisitive to find unmediated information, such as congressional hearings.” It’s much faster than it used to be, and more of its pages are professionally assembled. Crichton suggested that readers and viewers could more objectively measure the quality of the news they consume by pulling themselves “out of the narcotizing flow of what passes for daily news.” Look at a newspaper from last month or a news broadcast. It was interesting to note how mainstream media outlets paid tributes to Crichton this week. He was remembered for the entertaining story teller he truly was, and some even questioned his mixed legacy, for example being an ardent skeptic of global warming – thus batting for the fossil fuel cartels even if only inadvertently. But I could find few references to his perceptive critique of the mass media. Who says media likes to turn the spotlight on itself? PS: I was intrigued to see The New York Times’ reasonably benign obit on the author who predicted their demise. Here’s a collection of Times commentary on him – and some op eds he wrote for them. This was my brief message to American friends soon after they elected Barack Obama as the 44th President of the United States of America. It was entirely appropriate that I sent this message via mobile phone text (SMS). For Obama’s trail-blazing campaign to the White House used the new media innovatively while also using the old media (such as broadcast television) in a complementary manner. Obama’s rise has epitomised change in many ways. 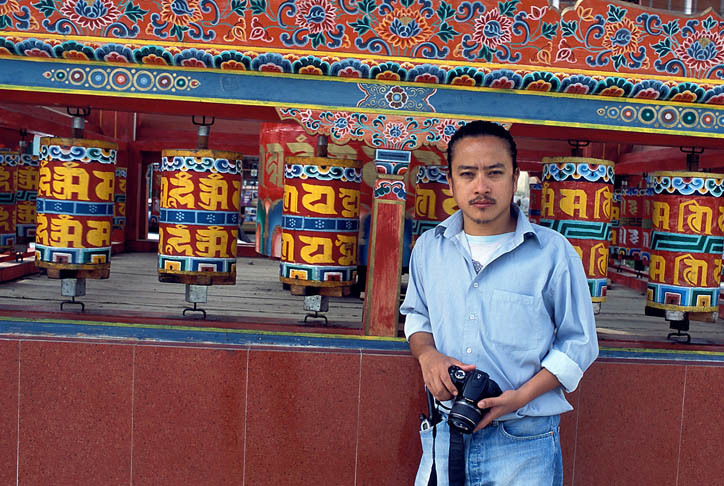 Among other things, he is the first elected leader of a major democracy who shows understanding and mastery over the New Media World, which is radically different from the old media order. Both Obama and McCain campaigns had slick websites and TV campaigns. But additionally, Obama inspired thousands of web-savvy volunteers to extend his message way beyond the official outreach. Doing so risked diluting the campaign or losing tight control, but that gamble paid off. Al Gore, US vice president from 1992 to 2000, also understood the potential of new media, especially the transformative nature of the Internet. 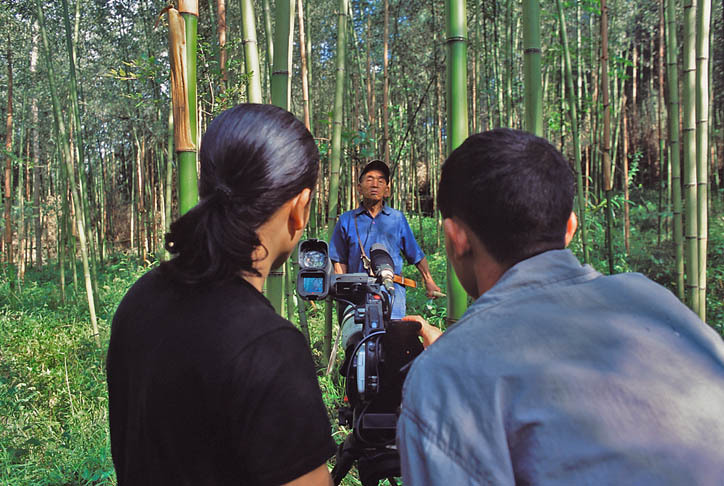 But at the time he was in office, the new media tools were not being used by sufficiently large numbers of people for it to make a difference in political campaigning or citizen engagement. But as many commentators are pointing out, the real fight has just begun. It remains to be seen how Obama and his team use New Media tools, platforms and potential to deliver the promise of change. 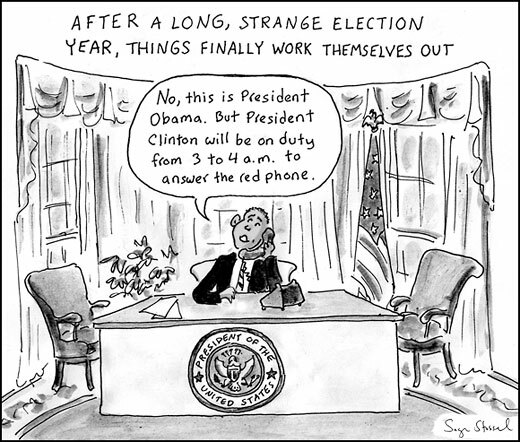 Meanwhile, my own favourite cartoon of Obama election is the one above – and funnily enough, it concerns a piece of old technology: the good old fixed phone. If you recall, in long-drawn campaign for Obama to secure Democratic Party nomination, his rival Hillary Clinton ran this TV commercial which peddled her credentials for being familiar with the corridors of power. It’s 3 AM and your children are safe and asleep. But there’s a phone in the White House and it’s ringing. There were various unofficial spoofs created by Digital Natives who love to play with new media tools. Just run a search for ‘3 am’ or ‘red phone’ on YouTube and you can watch many of these online! Obama Girl: Can this little video change history? Is this the face that launches a revolution? November 4 is already here in Asia – and the day will dawn a few hours later in the United States. Today is the day Americans go to the polls to choose their next President. In less than 48 hours, we’ll know who the winner is. All the polls of US voters suggest that it would be Senator Barack Obama. Surveys in different parts of the world also indicate how so many people expect him to win. And I certainly want him to win! But after what happened with the 2000 US Presidential Election, I hesitate to draw any conclusions. Whatever the outcome of today’s election, one thing is for sure: a little campaign video by a relatively little known actress and model changed the face of Campaign 2008. “I Got a Crush… on Obama” is an internet viral video, first posted on YouTube in June 2007 featuring a young woman seductively singing of her love for Illinois Senator and presidential candidate Barack Obama. Produced by BarelyPolitical.com, a website for funny political videos, it featured actress and model Amber Lee Ettinger who lip-synched the song which was actually sung by Leah Kauffman (of “My Box in a Box” fame). This video was named biggest web video of 2007 by People magazine…the AP…Newsweek…and AOL. It certainly helped to project Obama as a cool and hip candidate. Directed by: Larry Strong and Kevin Arbouet. (Caution: it’s not for the prim and proper, but then readers of this blog aren’t! ).